The Tannahill Weavers are firmly established as one of the premier groups on the concert stage as they celebrate their 50th anniversary. From reflective ballads to footstomping reels and jigs, the variety of their material is matched only by their lively Celtic spirit. Turning their acoustic excitement loose on audiences with an electrifying effect, the “Tannies” created a unique combination of traditional melodies, driving rhythmic accompaniment, and rich vocals that make their performances unforgettable. Born of a session in Paisley, Scotland and named for the town's historic weaving industry and local poet laureate Robert Tannahill, the group made an international name for its special brand of Scottish music. They began to attract attention when founding members Roy Gullane and Phil Smillie added the full-sized highland bagpipes to their on-stage presentations, the first professional Scottish folk group to successfully do so. The combination of the powerful pipe solos, Roy's driving guitar backing and lead vocals, and Phil's ethereal flute playing breathed new life into Scotland's vast repertoire of traditional melodies and song. In 2011 the band was inducted into the Scottish Traditional Music Hall of Fame for representing the best of Scottish music for 50 years. The Sweetback Sisters may come from Brooklyn, but philosophically they hail from a parallel universe, an alternate timeline in which honky-tonk became the dominant sound in modern country music. On their new album, ‘King Of Killing Time,’ the Sisters push their timely take on country’s golden age into more adventurous territory than ever before, with airtight harmonies, blazing leads, charging rhythms, and playful lyrics. Centered around the charismatic vocal interplay of Emily Miller and Zara Bode, the record’s ten tracks are a mix of infectious originals and unexpected interpretations of everything from George Jones to Gram Parsons. Hints of jazz and ragtime flesh out the group’s unique brand of Americana, as Miller, Bode, and their remarkably versatile band (guitarist Ryan Hommel, fiddler Ben Sanders, bassist Jason Sypher, and drummer Stefan Amidon) conjure up a singular blend of heart, humor, and virtuosic musicianship. Hailed as "brilliant" by NBC New York, The Sweetback Sisters first emerged in 2007 with their debut EP, 'Bang!' The collection earned them a record deal with stalwart indie label Signature Sounds, and over the course of three ensuing albums, the band built a dedicated following and racked up a heap of critical acclaim. The New Yorker raved that the women are "strong singers who revel in close harmonies," while Sing Out! said that their music "bristles with the energy of the very best young American performers," and NPR praised them as "Americana darlings with a roadhouse edge." This annual event continues to be a gala tribute to country music legend Hank Williams. Seasoned musicians recreate popular Williams songs such as “Your Cheating Heart,” “I Saw the Light”, and “Lovesick Blues.” In addition to these and other lesser-known songs, lively stage banter and anecdotes keep the show interesting and light-hearted. Musicians scheduled to appear in the Lost Show Tribute will be Charleston’s award winning singer-songwriter John Lilly, accomplished Nashville songwriter and performer Rob McNurlin, Hall of Fame steel guitarist Russ Hicks, nationally acclaimed fiddler Johnny Staats, two time national flat pick guitar champion Robert Shafer, guitarist and audio engineer Ritchie Collins, well respected lifelong bassist John Thornton, and harmonizing guest vocalists the Price Sisters from Ohio. 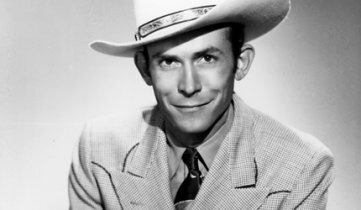 The popular Hank Williams Tribute has evolved into a re-creation of the show that would have been had Hank Williams not died on his way to shows in Charleston, WV, and Canton, OH. According to newspaper advertisements, Hank Williams was scheduled to appear at Charleston’s Municipal Auditorium on the night of December 31, 1952, along with artists Hanshaw Hawkins, Homer & Jethro, Autry Inman and the Webb Sisters. As a special feature, the performers will re-enact a portion of that lost show and will perform songs from these artists. ​The latest concert in FOOTMAD’s Rising Stars series will feature the Davis & Elkins College Appalachian Ensemble, a student performance group led by String Band Director Emily Miller and Dance Director William Roboski. Dedicated to bringing live traditional music and dance to audiences in West Virginia and beyond the ensemble features an acoustic string band (fiddle, banjo, guitar, mandolin and bass) and a team of dancers with a diverse range of expertise. The group focuses on the intersections of American vernacular forms, ranging from old-time music and flatfooting to jazz and tap, to Irish sean nós, body percussion as well as traditional American styles of harmony singing. All students receive scholarships for their participation in the Ensemble. Auditions are open to talented dancers and musicians who are interested in attending D&E. The Ensemble performs at festivals and concert halls during the school year (September-May). They also lead workshops in the basics of traditional clogging, body percussion, and singing styles as part of its mission to bring traditional music and dance to a broad range of audiences around the country. Because the membership of the ensemble changes as students graduate and new students join the group, the Ensemble’s makeup for the 2018-19 school year is not yet firmly established. Rest assured, they will represent the best of the tradition! ​Heron Valley is a young, energetic Ceilidh band from Scotland. With roots in Scottish and Irish traditional music, they also draw from folk, country, and Bluegrass styles. Featuring a line-up of bagpipes, fiddle, vocals, whistles, banjo, guitar, bass, piano, and any other instrument they can get their hands on, Heron Valley plays with talent and energy, sweeping up their audiences with their enthusiasm. Formed in 2011 Heron Valley strives to convey the highest amount of energy to every crowd, ensuring that audiences have a fantastic concert experience. The band has made a massive impact on the Scottish folk scene and is now introducing their unique flair to European and American audiences. The five-piece group comprises banjo player/drummer Nick Hamilton, guitarist/piper/whistle player Euan McNab, pianist Arlene Mackechnie, guitarist/vocalist Abigail Pryde and bassist Callum Cronin. ​Andes Manta performs the vibrant music of the Andes on more than 35 traditional instruments. From the lyrical sound of the quena (Andean Flute) to the haunting tones of the six foot long pan-pipes, the music of Andes Manta is an experience that never fails to bring audiences to their feet. Andean music is one of the few authentic prehistoric culture forms to survive the European conquest. Many indigenous South Americans believe that their music is what preserves the hearts and souls of their ancestors. Far from being melancholy, it is a joyous celebration of daily life. Andes Manta is made up of the four Lopez brothers: Fernando, Luis, Jorge, and Bolivar. Born in the remote village of San Gabriel, music took them first to the Equadorian capital, Quito, then eventually to the Hudson Valley of New York. They tour year round, and have played from Carnegie Hall to the National Cathedral to the Lincoln Center, to hundreds of schools and universities. Returning to South America as often as possible to renew their cultural roots, Andes Manta believe their music creates a rare opportunity for cultural understanding between their South American homeland and the people of modern North America. This engagement of Andes Manta is made possible through the Special Presenters Initiative program of Mid Atlantic Arts Foundation with support from the National Endowment for the Arts and the West Virginia Commision on the Arts.